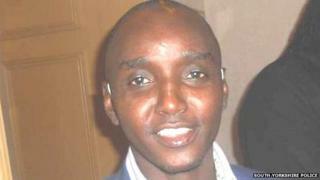 A man has admitted killing Bradford student Anowar Tagabo. Nathan Tomlinson, 23, of Haslam Crescent, Lowedges pleaded guilty to manslaughter at Sheffield Crown Court. Anowar Tagabo, 25, who was studying peace and development, was attacked on a night out in Sheffield city centre on 25 May. Tomlinson, who appeared by video link, was remanded in custody and will be sentenced on 13 November. Hundreds of people attended Mr Tagabo's funeral in August.